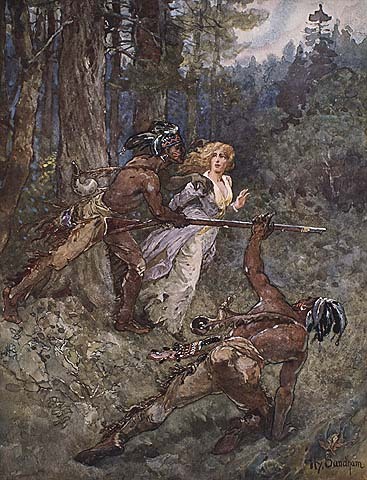 INGERSOLL, LAURA (Secord), heroine; b. 13 Sept. 1775 in Great Barrington, Mass., eldest daughter of Thomas Ingersoll and Elizabeth Dewey; d. 17 Oct. 1868, at Chippawa (Niagara Falls, Ont.). When Laura Ingersoll was eight, her mother died, leaving four little girls. Her father remarried twice and had a large family by his third wife. In the American War of Independence, Ingersoll fought on the rebel side, but in 1795 he immigrated to Upper Canada where he had obtained a township grant for settlement. 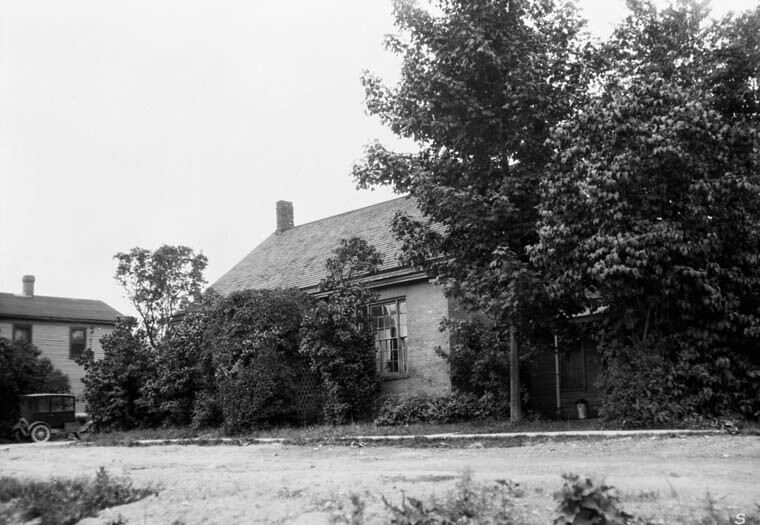 His farm became the site of the modern town of Ingersoll. He ran a tavern at Queenston until his township (Oxford-upon-the-Thames) was surveyed. Within two years, about 1797, Laura married James Secord, a young merchant of Queenston. He was the youngest son of a loyalist officer of Butler’s Rangers, who had brought his family to Niagara in 1778. James and Laura Secord were to have six daughters and one son. They lived first at St Davids but soon settled in Queenston. Early in the War of 1812, James, a sergeant in the 1st Lincoln militia, was wounded in the battle of Queenston Heights and was rescued from the battlefield by his wife. The following summer, when neither side had a firm hold of the Niagara peninsula, Laura heard on 21 June 1813, probably by listening to the conversation of some American officers dining at her house, that the Americans intended to surprise the British outpost at Beaver Dams and capture the officer in charge, Lieutenant James FitzGibbon. It was urgent that someone warn FitzGibbon and, since James was disabled, Laura resolved to take the message herself early the next morning. The distance to the outpost by direct road was 12 miles but Laura feared she would encounter American guards that way and chose a roundabout route. She went first to St Davids where she was joined by her niece, Elizabeth Secord, and then to Shipman’s Corners (St Catharines). Elizabeth became exhausted and Laura continued alone, uncertain of the way but following the general direction of Twelve Mile Creek through fields and woods. That evening, after crossing the creek on a fallen tree, Laura came unexpectedly on an Indian encampment. She was frightened, but after she explained her mission to the chief he took her to FitzGibbon. Two days later, on 24 June 1813, an American force under Colonel Charles Boerstler was ambushed near Beaver Dams by some 400 Indians led by Dominique Ducharme* and William Johnson Kerr*. FitzGibbon then persuaded Boerstler to surrender with 462 men to his own 50 men. In the official reports of the victory no mention was made of Laura Secord. 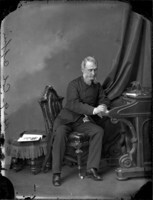 The Secords lived in poverty in the postwar years until 1828 when James, who had received a small pension because of his war wound, was appointed registrar, then judge (in 1833), of the Niagara Surrogate Court. 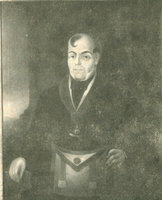 In 1835 he became collector of customs at Chippawa. He died in 1841 leaving Laura without financial resources. 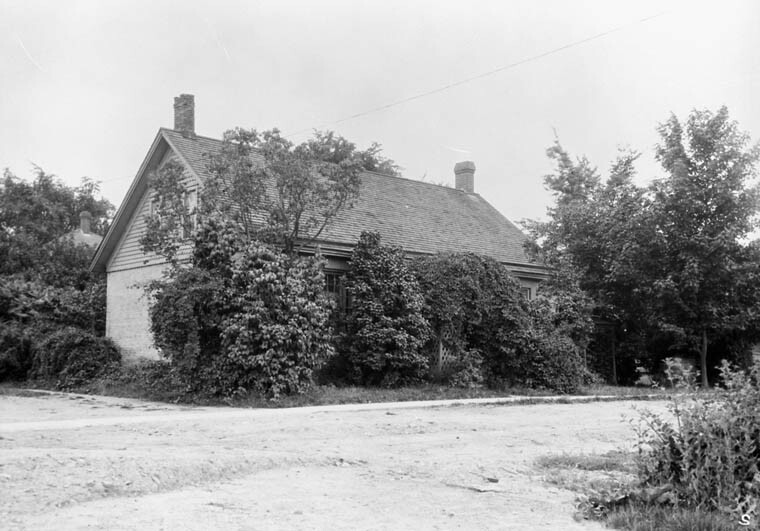 She ran a school for children in her Chippawa cottage for a brief period. Petitions to the government for a pension and other favours were unsuccessful. 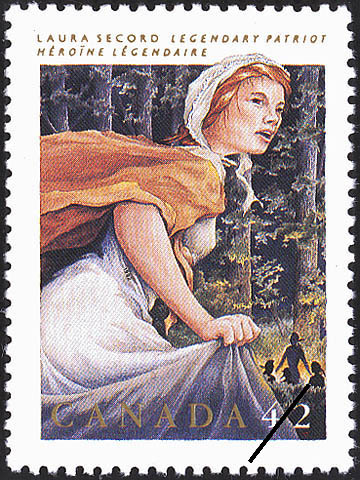 Laura Secord was 85 before she achieved wide public recognition for her heroic deed. While visiting Canada in 1860, the Prince of Wales (the future Edward VII) learned of Laura’s 20-mile walk. 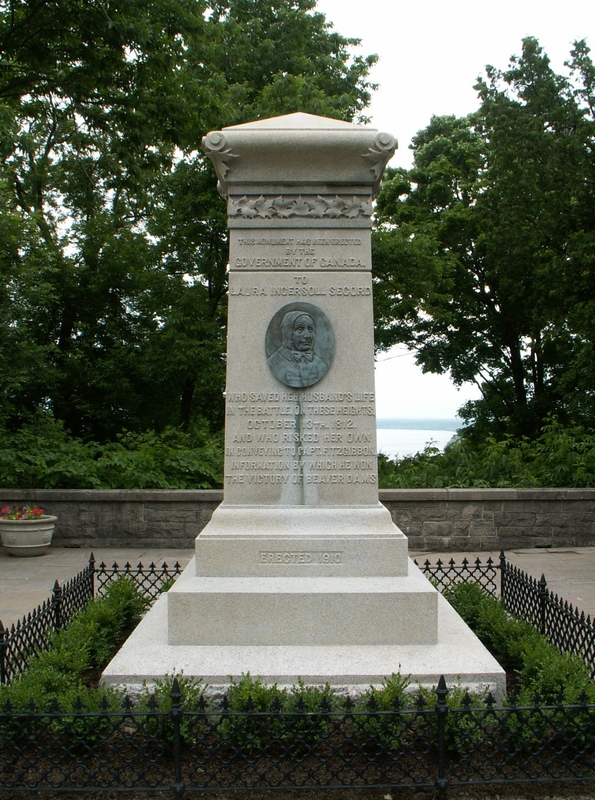 She had prepared a memorial for the prince describing her war-time service, and she also had placed her signature among those War of 1812 veterans who presented an address to him. After Albert Edward returned to England, he sent Mrs Secord a reward of £100. 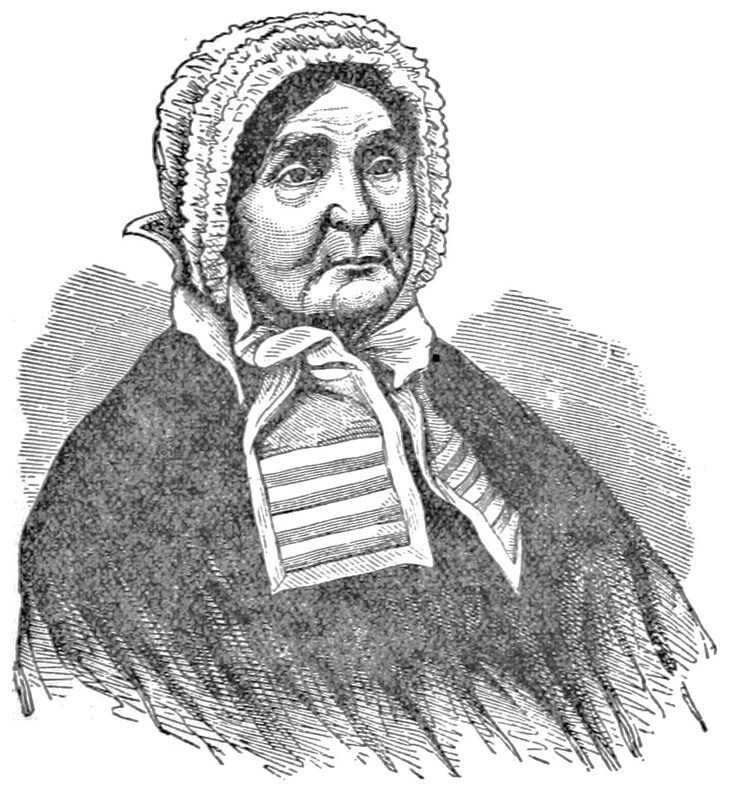 She died in 1868, at the age of 93, and was buried beside her husband in Drummond Hill Cemetery, Niagara Falls. 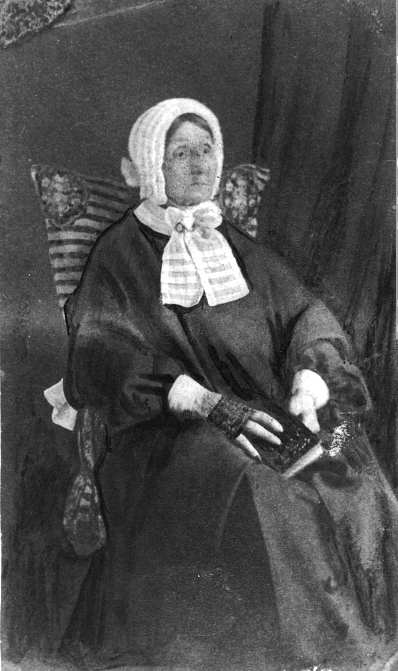 Laura Secord became celebrated as a heroine in history, poetry, and drama, after 1860. Legends grew; the favourite was that she had taken a cow with her on her walk, for camouflage, and that she had milked it in the presence of American sentries before leaving it behind in the woods. In fact, Mrs Secord never mentioned a cow and it is unlikely that she encountered an American sentry. 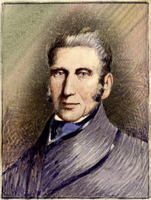 William F. Coffin* apparently invented the episode for his book 1812, the war and its moral (1864). According to another story, Laura had walked through the woods at night, on her bare feet. But she herself said, “I left early in the morning,” and though she may have lost a slipper in the woods or fields, she was far too sensible to have started out barefoot. Her popular fame was such that two monuments were erected in her honour, one at Lundy’s Lane in 1901, the other on Queenston Heights in 1910. Her portrait was hung in the parliament buildings at Toronto, and a memorial hall was established in the Laura Secord School at Queenston. The puzzle of the chronology and of Laura’s role in the events was solved when two earlier testimonials came to light, both written by FitzGibbon, in 1820 and 1827, to support petitions the Secords had made to the government. 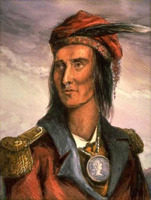 In the 1827 certificate, FitzGibbon said that Mrs Secord had come “on the 22d day of June 1813,” and that “in consequence of this information” he had placed the Indians in a position to intercept the Americans. Thus he made it clear that Laura’s warning had indeed made the victory possible at Beaver Dams. 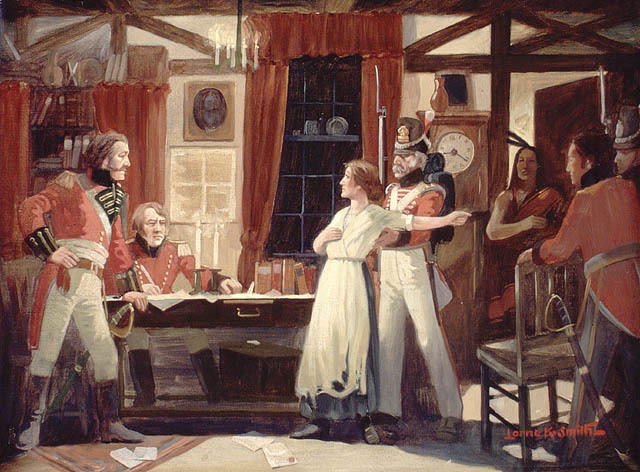 It was a significant victory, and for her part in it Laura Secord became justly known as the heroine of the War of 1812. 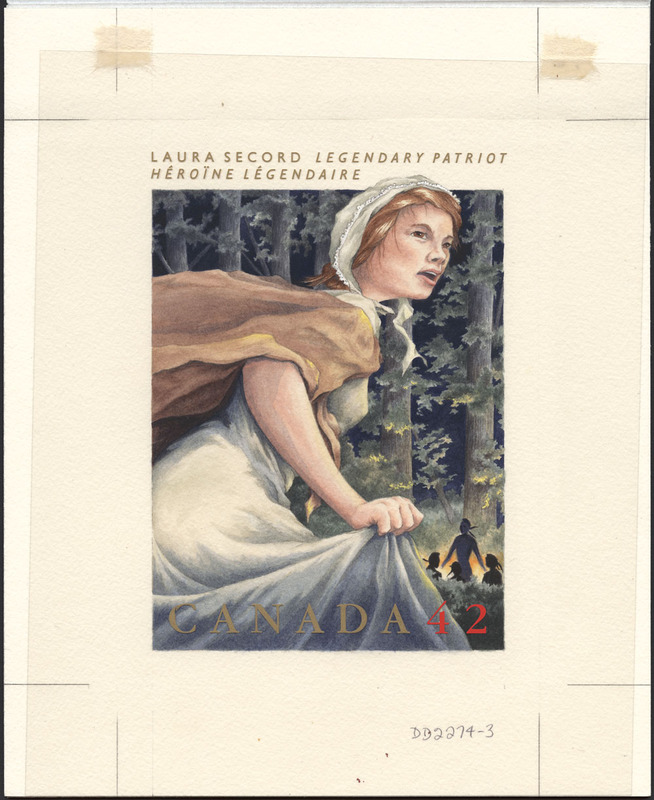 Laura Secord typified pioneer women in her courage, endurance, and resolution in the face of adversity. FitzGibbon remembered her as a person of “slender frame and delicate appearance,” but underneath was a strong and persistent will. Laura Ingersoll’s birth and marriage records are missing but the approximate date of her marriage is known from circumstantial evidence. Two birth dates appear in biographies and family histories – 13 Sept. and 19 Dec. 1775. The former was confirmed as correct by Mrs Secord’s granddaughter, Laura Louise Smith, in E. J. Thompson, “Laura Ingersoll Secord,” Niagara Hist. Soc., [Pubs. ], no.25 (Niagara-on-the-Lake, Ont., 1913), 10. Ruth McKenzie, “INGERSOLL, LAURA (Secord),” in Dictionary of Canadian Biography, vol. 9, University of Toronto/Université Laval, 2003–, accessed April 24, 2019, http://www.biographi.ca/en/bio/ingersoll_laura_9E.html.